In our efforts to be “Locally Inspired Cuisine” every dish, every sauce, every meal is homemade and meticulously prepared with the freshest of ingredients. We support our community by sourcing local ingredients whenever possible. Chefs cut steaks daily from pre-selected graded and aged beef. 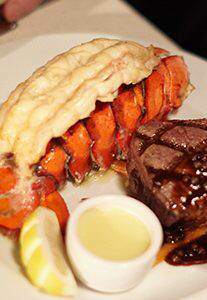 Choose from our dinner selections of Maine Lobster Tail, Cedar Wrapped Salmon, Filet Mignon Oscar and much more! Enjoy our fabulous starters and salads! 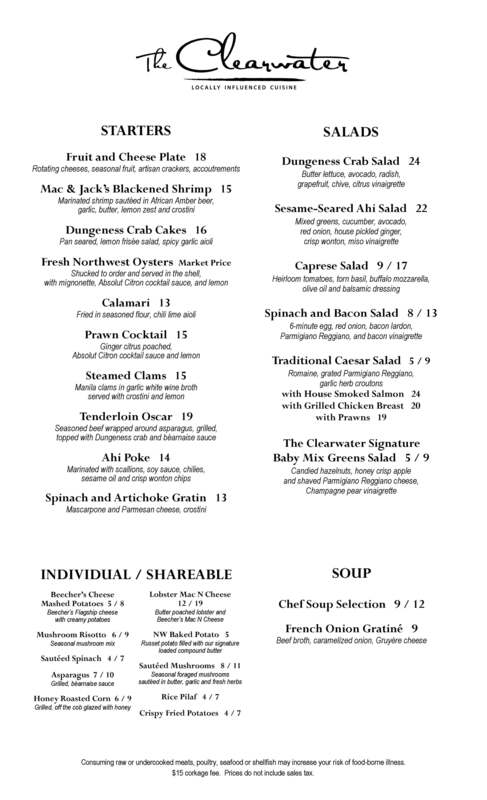 Check out the Clearwater menu by clicking here! 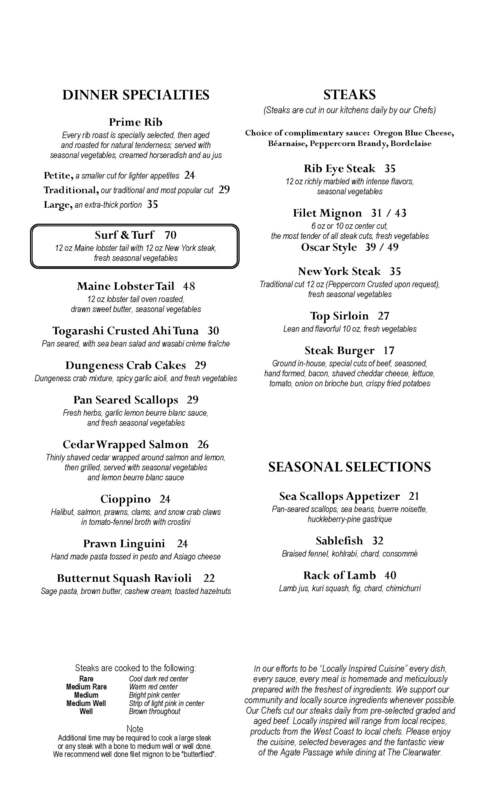 → Printable copies of the menu may be found here and here. 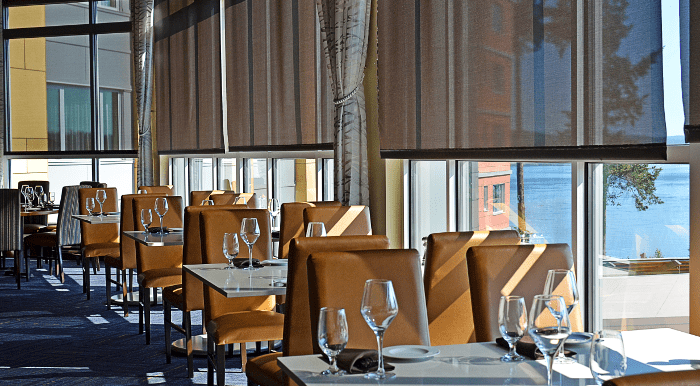 Please enjoy the cuisine, selected beverages and the fantastic view of the Agate Pass while dining at The Clearwater Restaurant. Try our Starters, Individual & Shareable choices, fantastic Salads, Soups, Dinner Specialties, Steaks, and our Seasonal Selections! 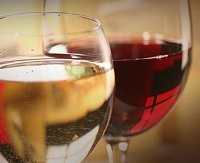 Enjoy any of our regular priced bottles of wine every Wednesday for 1/2 off! Dine in only, does not apply to already discounted products. Enjoy any two sushi rolls and a 10 oz carafe of warm Ty Ku Sake every Sunday! 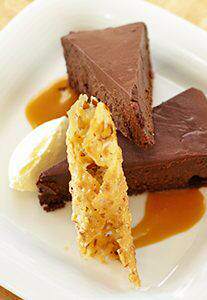 Special not available in main dining room. 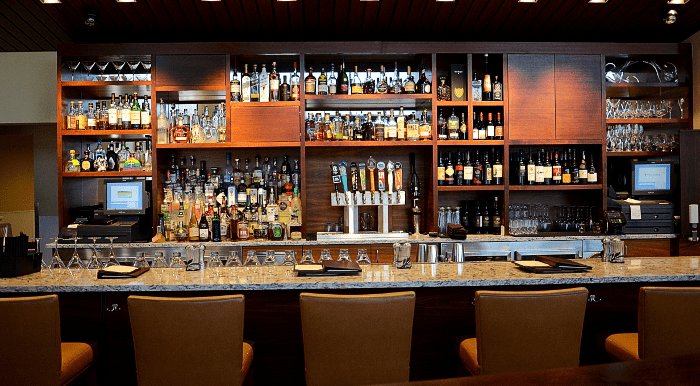 → Check out the Clearwater Restaurant Bar Happy Hour menu! 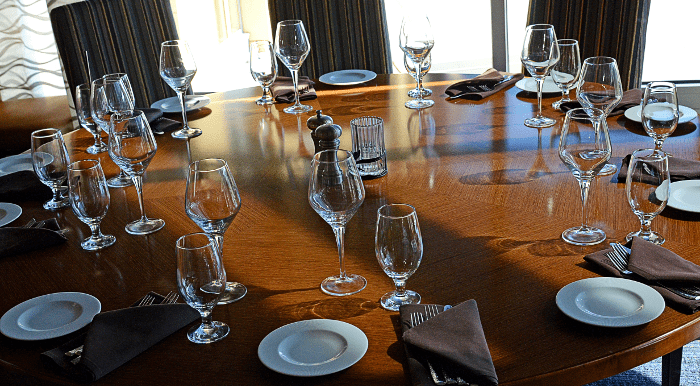 → The Clearwater Restaurant offers private dining, find out more here! → The Clearwater’s Mother’s Day 2019! 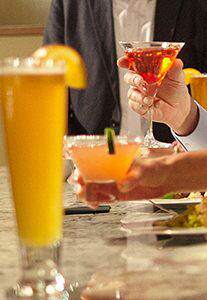 Happy Hour not available during holidays or special events. In our efforts to be “Locally Inspired Cuisine” every dish, every sauce, every meal is homemade and meticulously prepared with the freshest of ingredients. We support our community and locally source ingredients whenever possible. Our Chefs cut our steaks daily from pre-selected graded and aged beef. 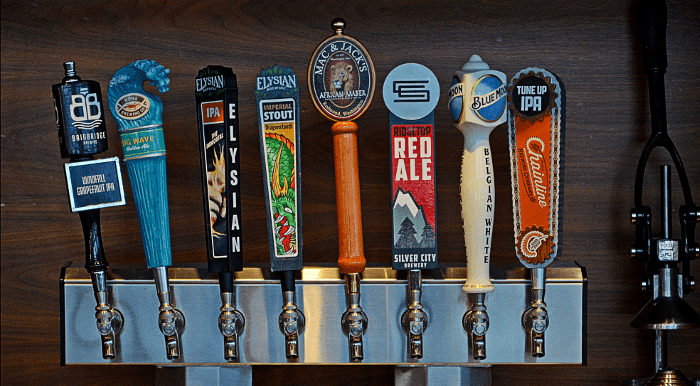 Locally inspired will range from local recipes, products from the West Coast to local chefs. 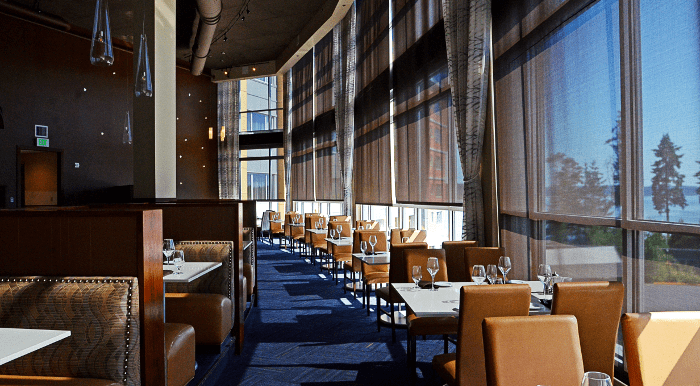 Please enjoy the cuisine, selected beverages and the fantastic view of the Agate Passage while dining at The Clearwater. Served in Bloody Mary mix, cocktail sauce, tabasco, horseradish and pepper. Additional time may be required to cook a large steak or any steak with a bone to medium well or well done. We recommend well done filet mignon to be “butterflied”. Consuming raw or undercooked meats, poultry, seafood or shellfish may increase your risk of food-borne illness. $15 corkage fee. Prices do not include sales tax. 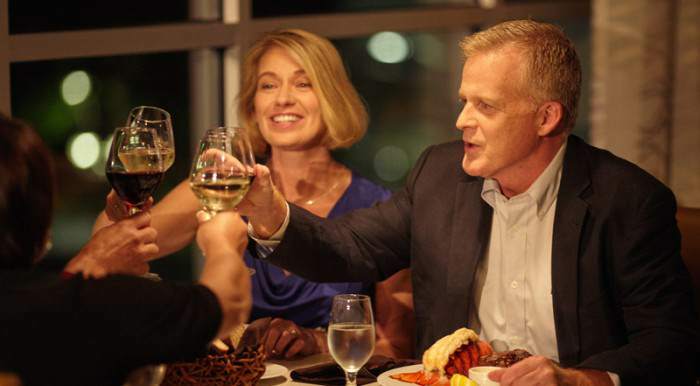 Join us every Wednesday for 1/2 off a bottle of wine night in the Clearwater fine dining restaurant! 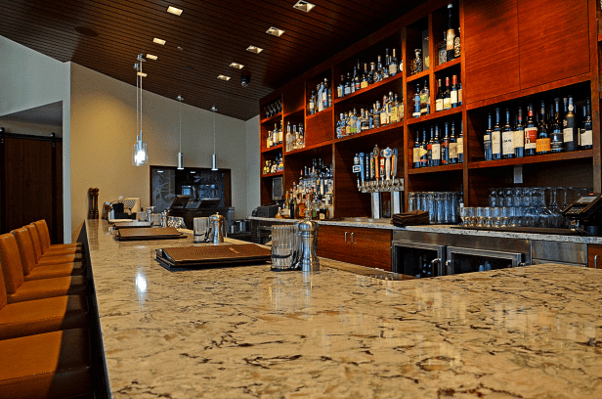 The Clearwater Restaurant has partnered with OpenTable to provide free, secure, and instantly confirmed online reservations.